Green would be the ninth player to transfer since the start of the 2018 season. 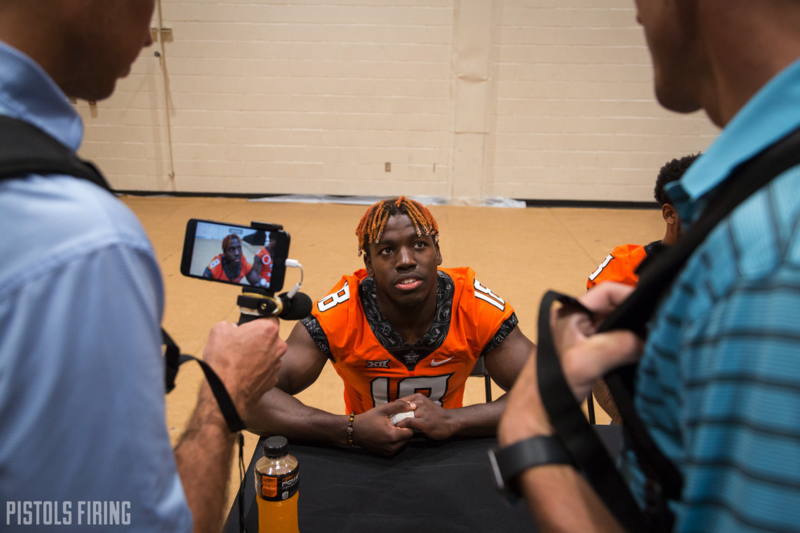 Oklahoma State safety Za’Carrius Green has entered his name into the NCAA’s transfer portal, which allows players to explore a transfer while remaining at their respective school, according to 247Sports. While Green’s entrance into the portal does not indicate he is leaving, it is the first step in doing so. By having his name in the portal, coaches can contact and recruit him to their school. Green, a Class of 2015 signee from Duncanville, Texas, committed to OSU in late 2014 over offers from Iowa, Iowa State, Kansas and La. Tech. Should Green leave the program he would be the second safety to do so since the start of the 2018 season, joining Thabo Mwaniki, and the ninth player overall to transfer. Mwaniki, J.D. King, Arlington Hambright, Keondre Wudtee, Darrion Daniels, John Kolar, Jalen McCleskey and Patrick Macon are also transferring. Green drew rave reviews from his teammates ahead of the 2018 season, and the new 4-2-5 was seen as a welcome change for him. But he played sparingly last season and slumped down the depth chart, logging only seven tackles in 12 games. He also blocked a punt and scored a touchdown. Projecting the depth chart ahead to 2019 on defense, Green was likely in line to take a secondary or even tertiary role at the bandit safety position behind Malcolm Rodriguez and redshirt freshman Sean Michael Flanagan.